Willis Development has obtained $59.4 mil in debt and equity financing for the development of a 113-bed assisted living and memory care facility in Glendale, CA. The project, Sage Glendale Senior Living, will consist of 81 assisted living units, 24 private memory care units and four semi-private memory care units. The financing consists of a $38.7 mil construction loan originated by East West Bank and arranged through Dekel Capital’s advisory practice. The four-year financing, with interest only monthly payments for the first 36 months of the term, was underwritten at 65% LTC. Dekel also provided $20.7 million in joint venture equity through the firm’s proprietary equity fund Dekel Strategic Investors. Amenities at Sage Glendale Senior Living will include community garden, library, theater, classrooms, exercise area, commercial kitchen and beauty salon. Sage Glendale is located at 509-525 W. Elk Ave in Glendale, nine miles north of downtown Los Angeles. It is expected to be completed in the first quarter of 2020. 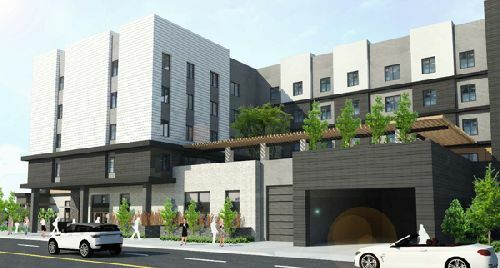 Sage Glendale is the only assisted living or senior care facility under construction in a severely supply constrained Glendale submarket, according to Dekel Principal Shlomi Ronen, who structured the financing.